River House is a stunning listed building situated in the heart of York next to Lendal Bridge (photo above). 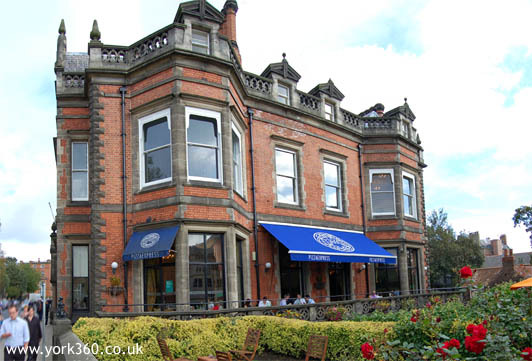 On summer days there is an outside terrace with stunning views of the River Ouse. There are many original features including oak paneled walls, tiled floors and complimented by two al fresco dining areas, either of which can be hired for private functions. 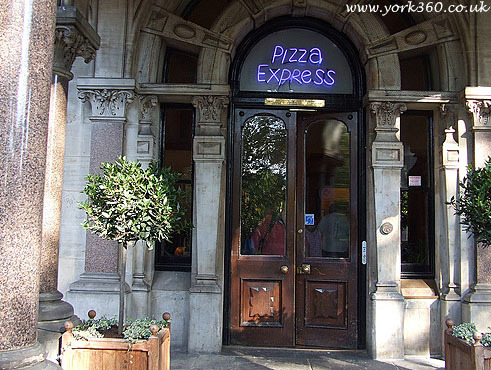 Pizza Express is located opposite the entrance to Museum Gardens. Pizza Express, St Sampson's Square. 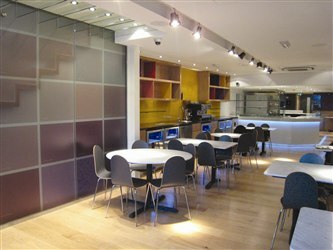 (above) photo of the Museum Street Pizza Express.